AutoWeek asked me to cover the unveiling of the 2020 Toyota Supra in its signature red color at Toyota headquarters in Dallas. 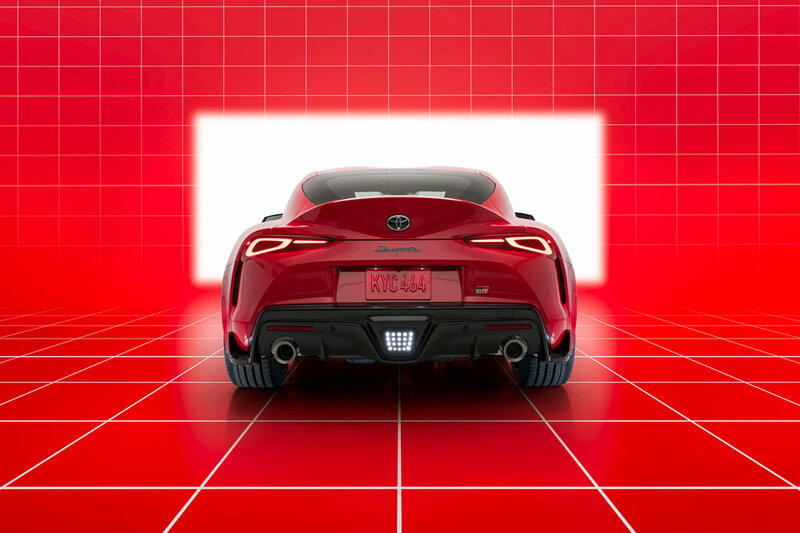 We shot the car in the studio at Toyota HQ, and composited it into a 3D environment created in Maya 3DS Max by Isaac Murray. I mocked up the red room myself in Photoshop. Interiors were lit by passing an image through the Pixelstick from outside the windshield.